The end is nigh. Or is that a new beginning? Either way you look at it, Microsoft on Monday announced that its $7 billion acquisition of Nokia's phone business will finally close this Friday, April 25, after regulatory delays slowed the deal. Microsoft's Nokia buyout comes in the middle of a gargantuan shift for Microsoft, which—in addition to recently replacing its CEO—is transitioning from a traditional software company to something more device- and services-oriented. While both Nokia's Lumia line and Windows Phone as a platform have struggled to compete with the dual Android/Apple mobile juggernaut, Microsoft has said that phones are the key to everything in today's tightly controlled ecosystems. While we're skeptical that buying Nokia will pay off for Windows Phone's prospects, the hard-won lessons that the intensely consumer-focused Nokia can teach Microsoft could help transform the business that Bill Gates built into something great again, one Nokia phone at a time. 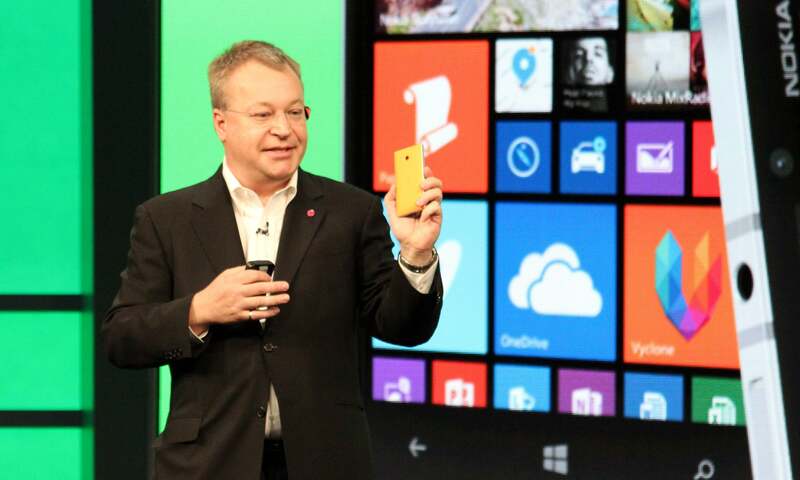 Nokia's Stephen Elop at Microsoft's Build 2014 keynote. Windows Phone itself is on the upswing right now, at least in the hearts and minds of developers, if not everyday users. At its recent Build conference, Microsoft announced a trio of announcements designed to drive a jolt of energy into its mobile ecosystem, starting with the vastly improved Windows 8.1 update, which adds a much-needed notification center and Cortana, the surprisingly useful digital assistant. Between those and the numerous other features baked into the update, Windows Phone is finally a full-fledged OS capable of taking on Android and iPhone—at least as far as the core experience is concerned. In other words, Windows Phone 8.1 finally provides a level of software polished enough to match well with Nokia's impeccable hardware designs. Microsoft also announced universal Windows apps, which allow developers to create a single app, then easily push it out across Windows Phones, PCs, and tablets, complete with the option for users to buy the app once and have it run on any platform. The first of those have already begun appearing in Microsoft's app stores. Microsoft also now provides the Windows Phone operating system for free to phone manufacturers, as well—a move that can both push WP8 adoption and quell any discontent about Microsoft snapping up Nokia. With all the focus on Windows Phone, though, one big question remains: What will Microsoft do with Nokia's recently announced Nokia X phones, which run on a heavily modified version of Android chock full of Microsoft services? 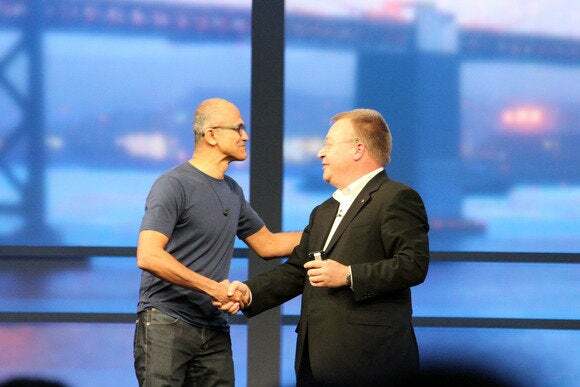 Given Microsoft's newfound services focus—as exemplified by Office for iPad—Microsoft may just let the experiment play out, at least for a while.